Marsh Orchids were @SpeciesofUK from 9th to 15th June, 2014. Marsh orchids or spotted orchids are the orchids that make up the genus Dactylorhiza. 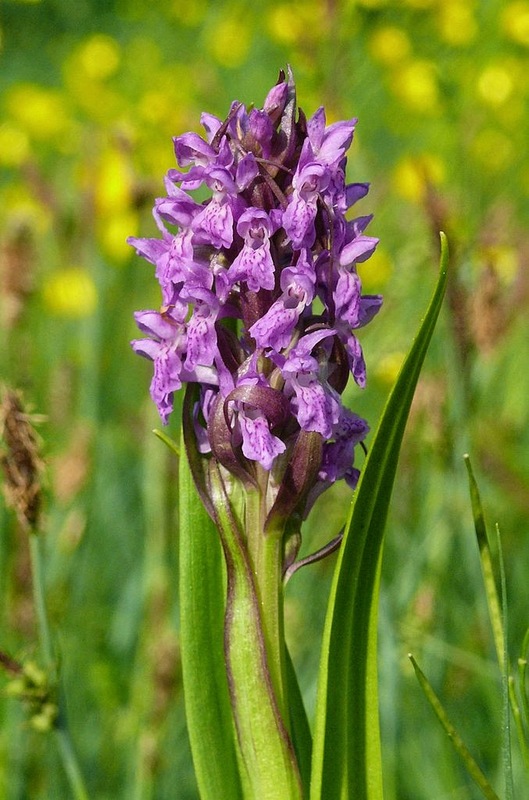 A number of marsh orchid species are common in different parts of the UK. They are notoriously different to identify due to their propensity to hybridise. Orchids are a large and diverse family of flowering plants. There are estimated to be around 25,000 accepted species of orchid, plus more than 100,000 hybrids and cultivars. 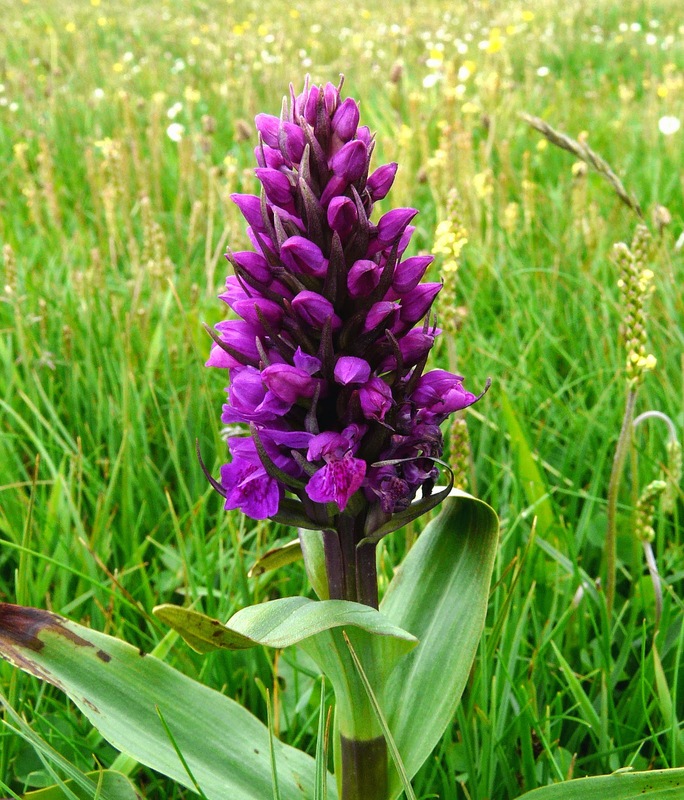 Species of the orchid genus of Dactylorhiza are either called 'marsh orchids' (due to their habitat) or 'spotted orchids' (due to the dark blotches on many species). 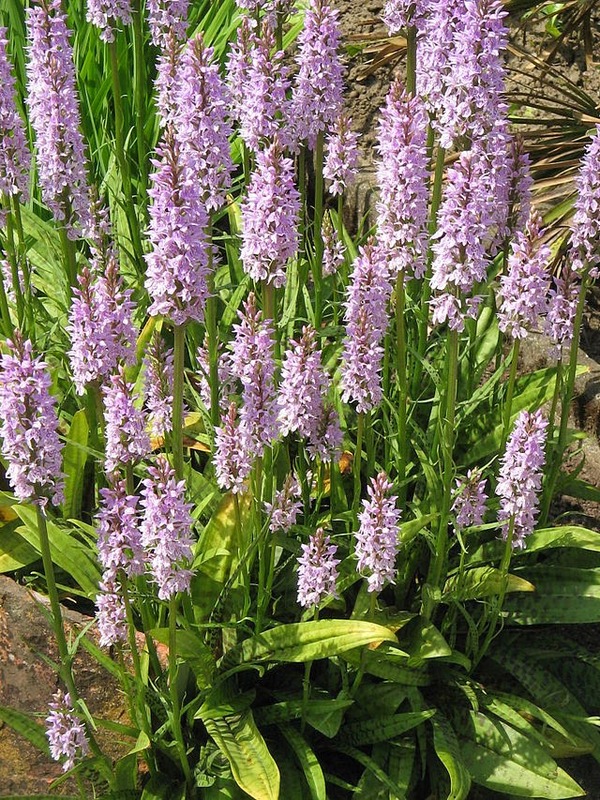 The name Dactylorhiza is derived from the Greek 'daktylos' (finger) and 'rhiza' (root), because of the two- to five-lobed tubers of the species. Dactylorhiza is one of the most taxonomically complex orchid genera. It has around fifty individual species but many are poorly defined and blur together. The trickiness is compounded by the fact that they hybridise freely. 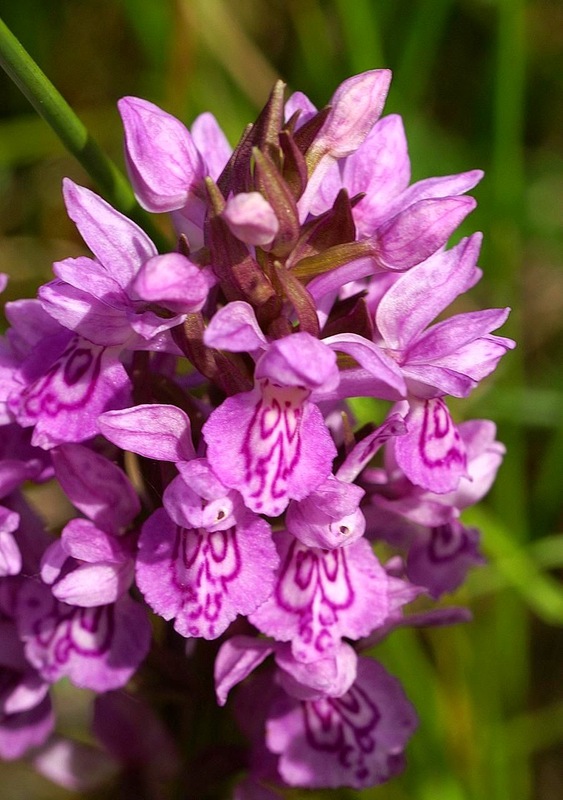 Species of marsh orchid are found in Europe, northern Africa, Asia and North America. They tend to grow in basic soils in damp areas like wet meadows, bogs and heathland. 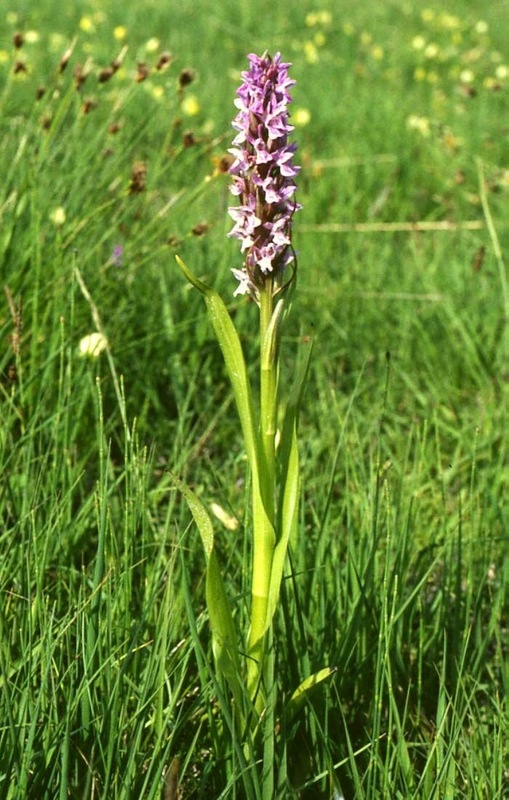 Marsh orchids have distinctive tubers and flowers. 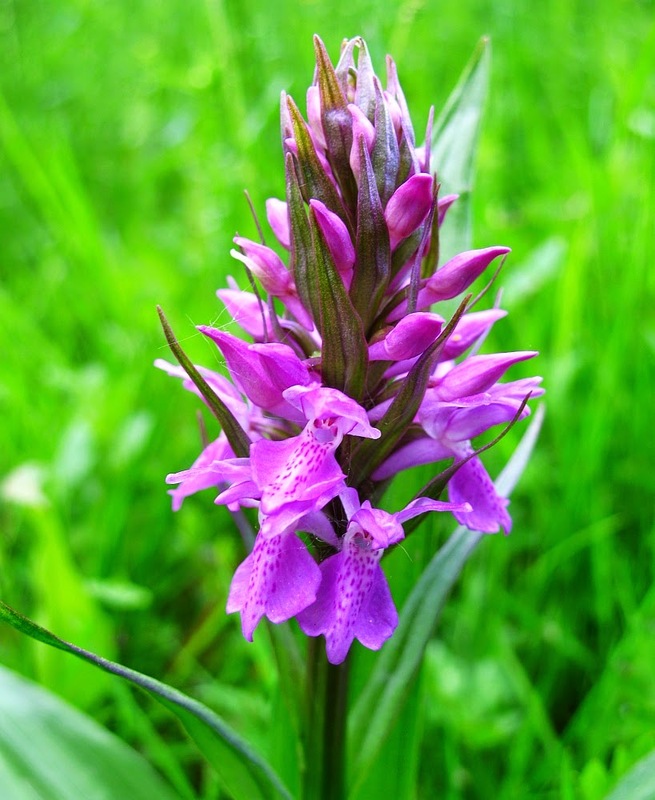 Marsh orchids are 'tuberous geophytes' which means they have an underground storage system called a ‘tuber’. 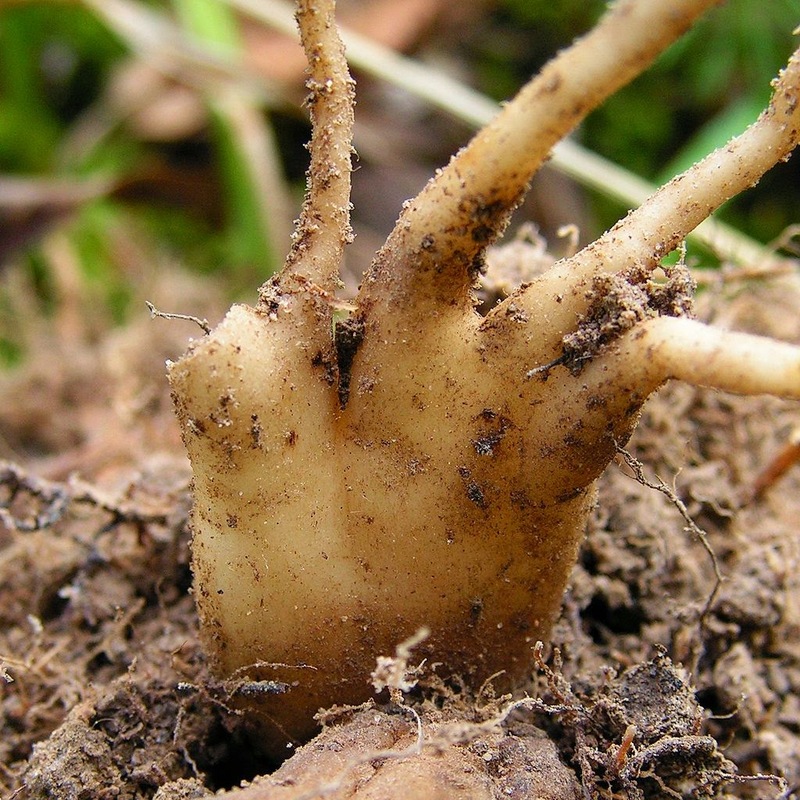 The tuber is a thickened underground stem. It stores water, making the plant more hardy when it gets dry. The marsh orchid tuber is flattened and ‘finger-like’. 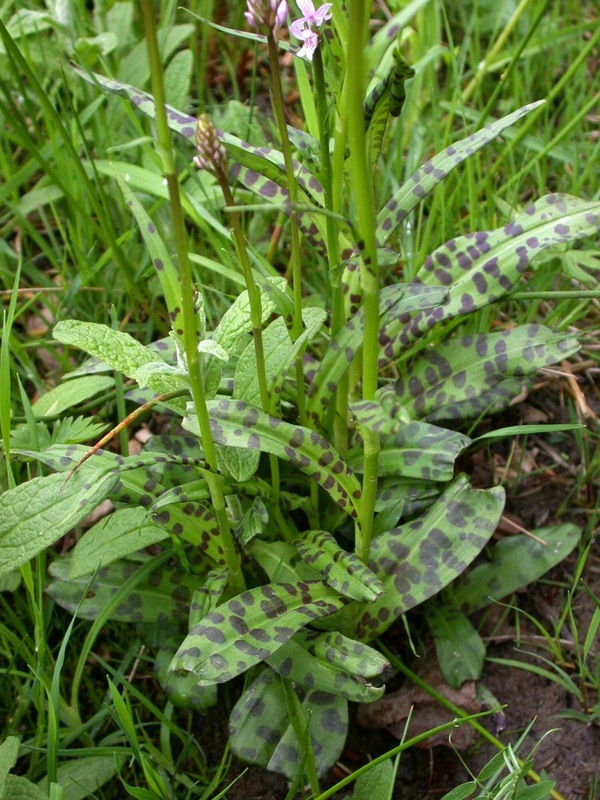 Dactylorhiza orchid leaves are long and 'lanceolate' (much longer than wide, with a pointed tip). In many species the leaves are speckled. The inflorescence of Dactylorhiza orchids consists of a compact raceme (flowering stem) at the top of the plant with many flowers from axillary buds. 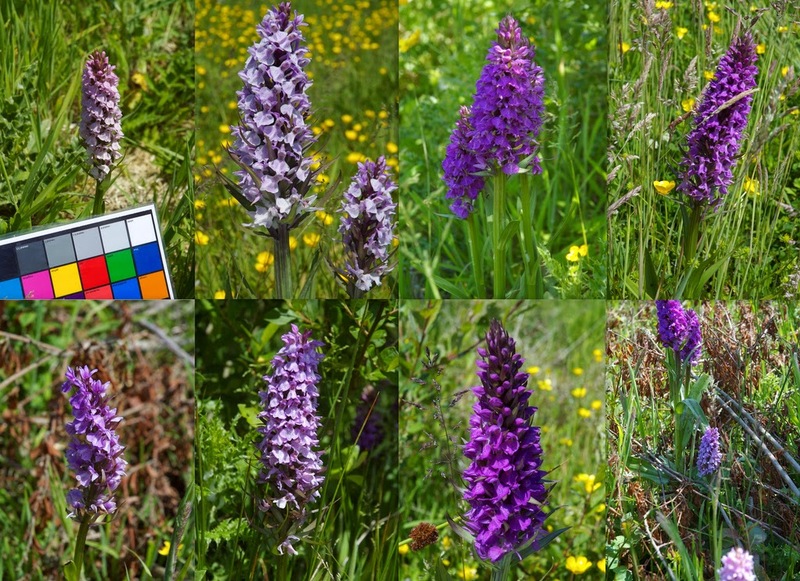 There are currently thought to be nine Dactylorhiza orchids native to the UK, plus a spectrum of subspecies and hybrids. Here are descriptions of some of them. 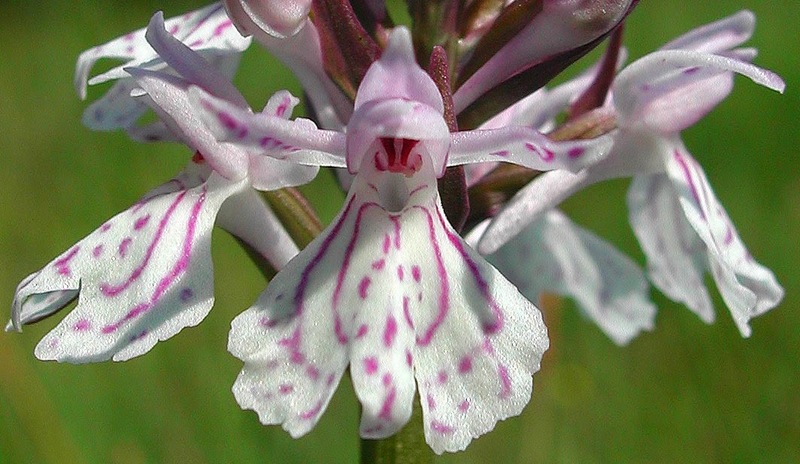 Dactylorhiza fuchsii, the common spotted orchid, is our most commonly-seen wild orchid. It is found throughout the UK apart from the Scottish Highlands. 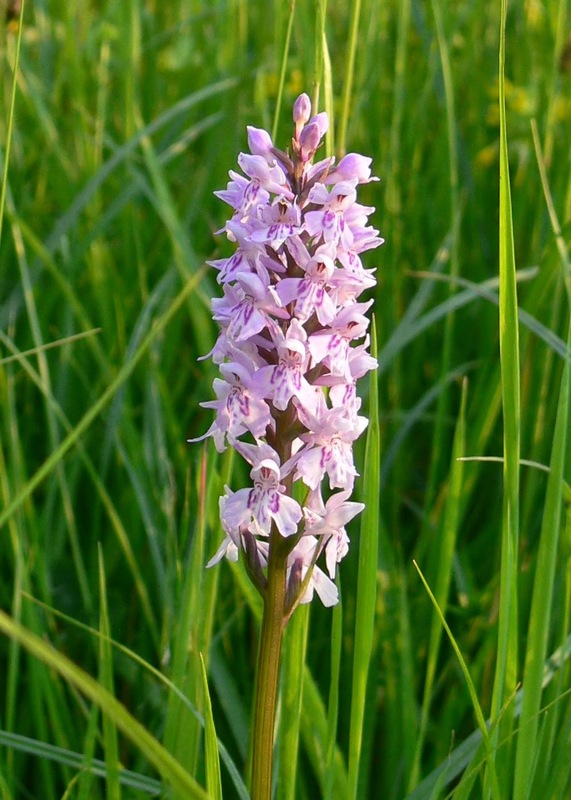 The common spotted orchid has a fondness for open woods and damp grassland, particularly chalk and limestone downs. 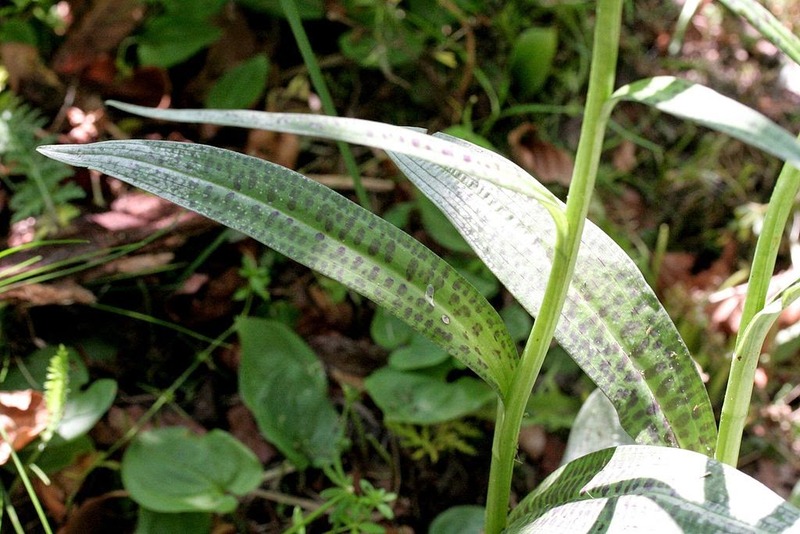 Common spotted orchid leaves are always dark-spotted. 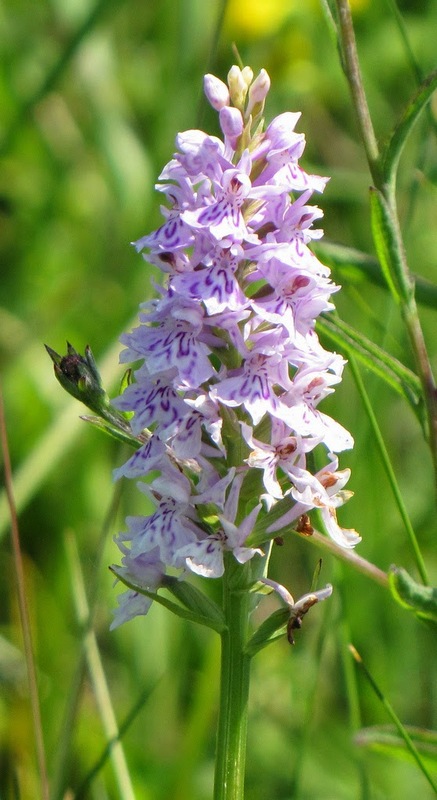 The common spotted orchid can be quite variable in height. The inflorescence is dense. The flowers are dark to light pink. The lip of the common spotted orchid flower is prominently three-lobed. Its pattern is variable but usually with one to three purple 'loops' either side of the lip centre line. 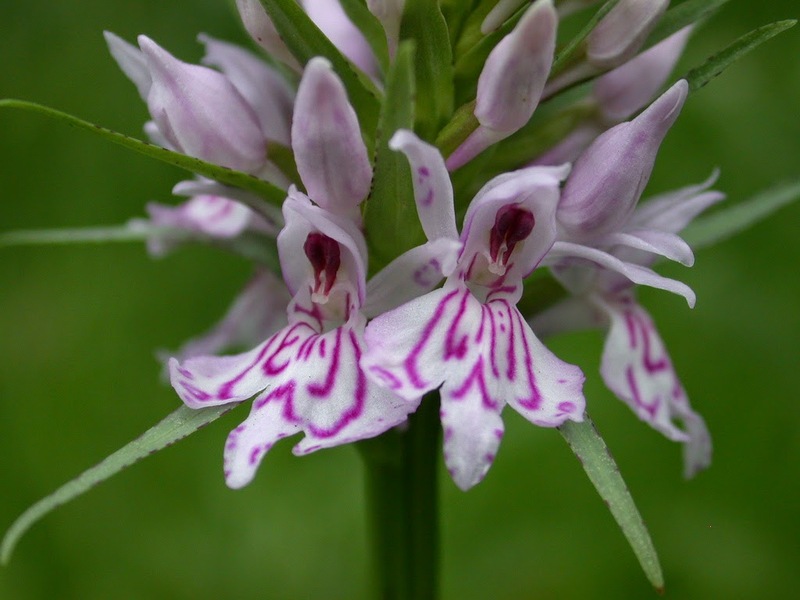 The common spotted orchid can be confused with the heath spotted orchid, but the latter is more pale purple in colour and the spots on its leaves more round. 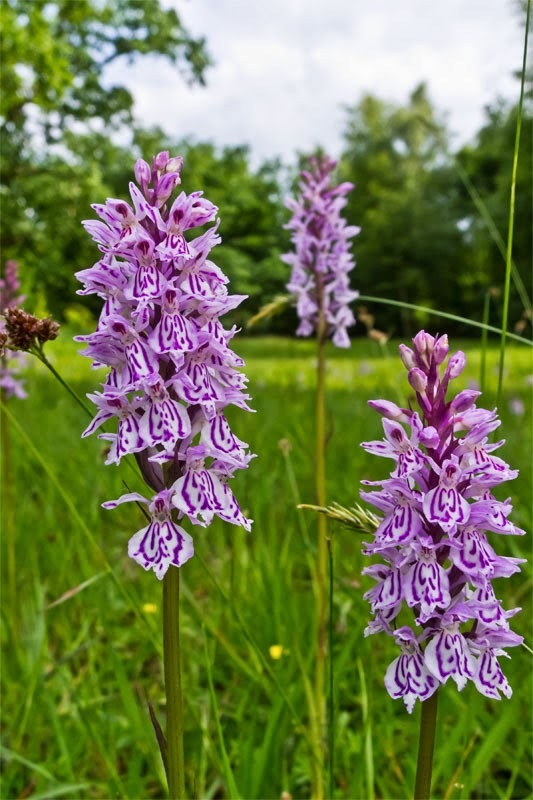 Another of the UK's Dactylorhiza orchids is the Heath Spotted Orchid, D. maculata, which replaces the common spotted in more acid, heathy regions. Heath spotted orchid leaves are heavily spotted. 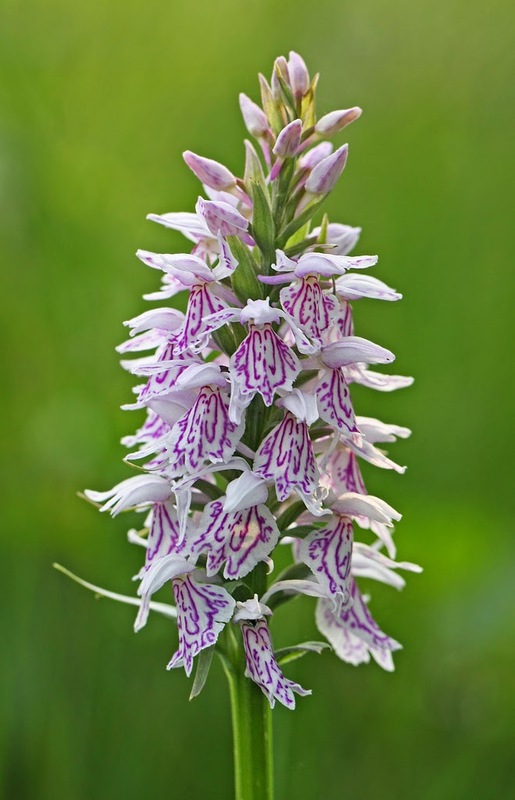 The heath spotted orchid looks like the common spotted orchid but has paler flowers with lips that are broader, with more broken and discontinuous markings and a less prominent tooth. 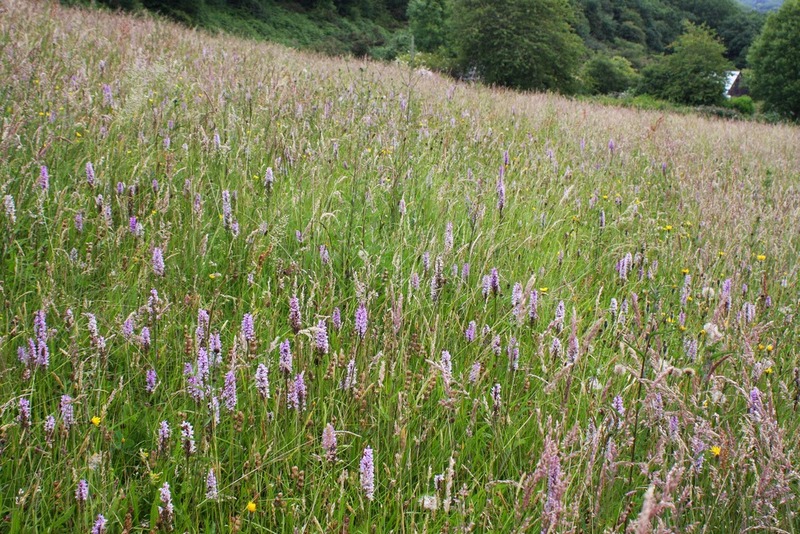 The heath spotted orchid can colonise quite damp areas so it is likely to hybridise with other Dactylorhiza orchids there. Another UK native marsh orchid is the northern marsh orchid, D. purpurella. It's a beautiful orchid with bright purple flowers. Northern marsh orchids favour damp habitats like marshy fields, road verges, lake margins, fens, marshes, coastal cliffs or dune slacks. As its name suggests, it mostly inhabits the northern half of Britain. The northern marsh orchid grows fairly short, at 10-35cm. It has between four and six stem leaves. The flower spike of northern marsh orchid is dense and squarish-topped with ten to forty bright purple-to-magenta flowers. The northern marsh orchid is hard to distinguish from the southern marsh orchid. In fact it was only described as a separate species in 1920. The northern marsh orchid has a petal lip that is diamond shaped, un-lobed, with dark spots and lines that don't usually form loops. The southern marsh orchid, D. praetermissa, is another UK native. It is common throughout Europe. In the UK, it’s mainly found in the south. The southern marsh orchid often occurs alongside the northern marsh orchid where their ranges meet, making identification tricky. 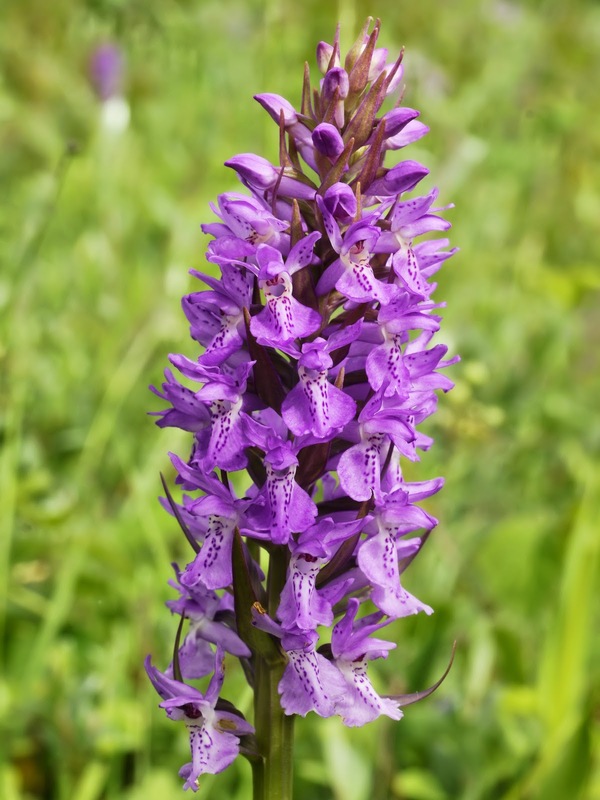 The southern marsh orchid typically reaches 30-50 cm tall, and can even reach 70cm. 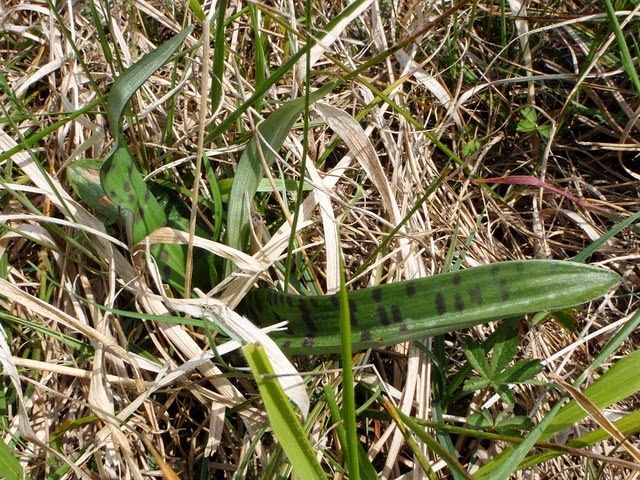 The leaves are 10-20cm long and usually unspotted. 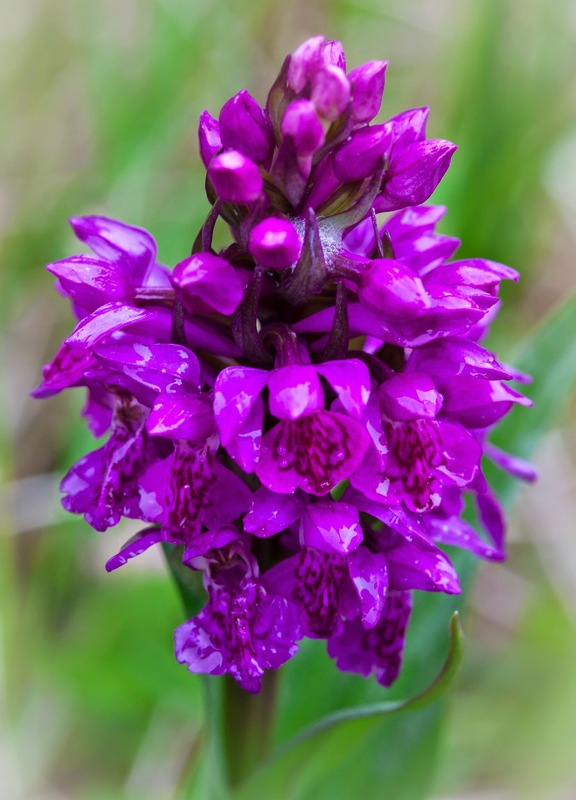 The southern marsh orchid has a conical flower spike 5-10 cm long, bearing a hundred or more flowers, whose colours range from pale pink to dark magenta. Southern marsh orchid flowers appear in late spring/summer, typically June or July, dependent upon the weather. 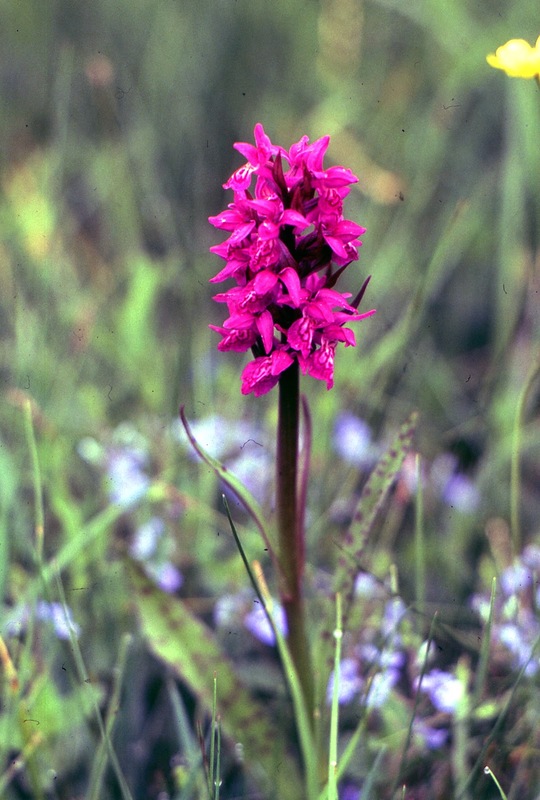 The early marsh orchid, D. incarnata, is widespread in the UK but suffers from wetland drainage making it increasingly marginalised. 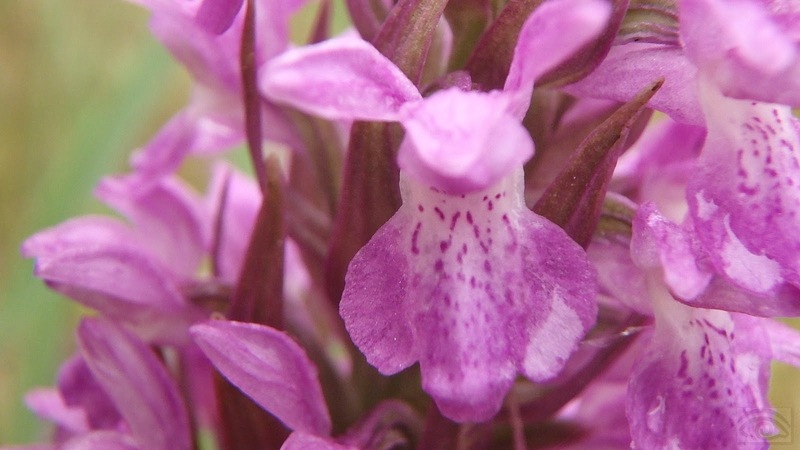 There are four subspecies of early marsh orchid growing in the UK. Each has a particular coloration. D. incarnata subsp. 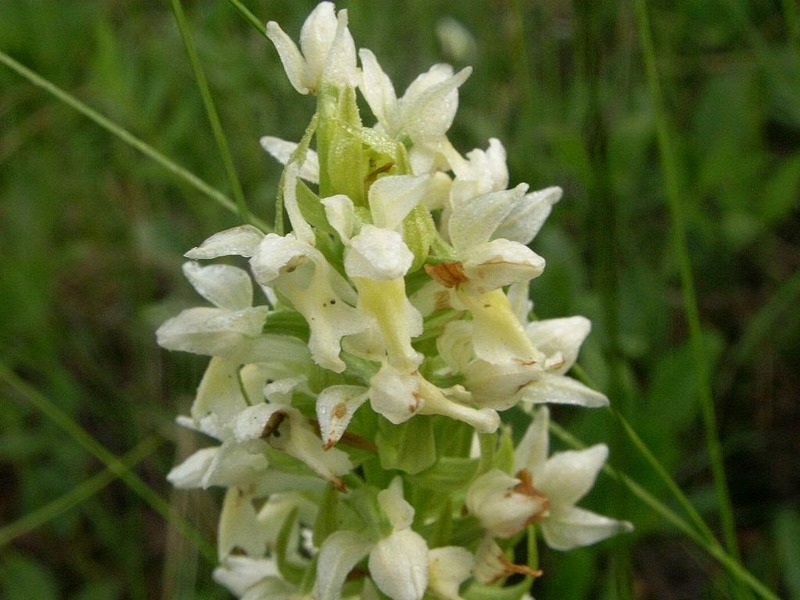 ochroleuca is a subspecies of early marsh orchid with creamy white flowers. Early marsh orchids get their name from the simple fact that they start flowering early. 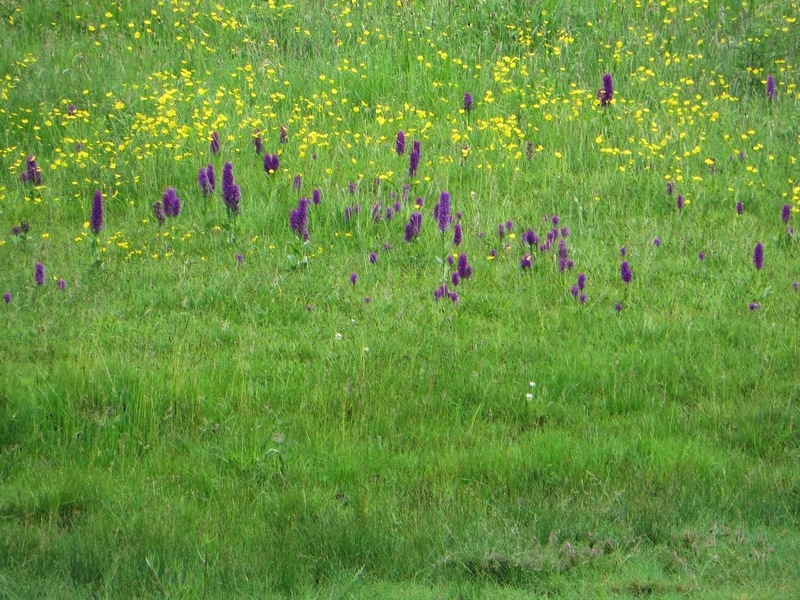 As early as May, compared to June for other marsh orchids. Like with other marsh orchids, the shape of the flower lip is distinctive in the early marsh orchid. In this case it is sharply folded back appearing very narrow in face view.